No one yet knows the depths to which Earth’s conquerors—the Others—will sink in order to rid the Earth of the human infestation, nor have they guessed the heights to which the human spirit can reach. Characters introduced in Book One will come to the fore—and others will face the ultimate test. Contains spoilers from book 1, The 5th Wave. 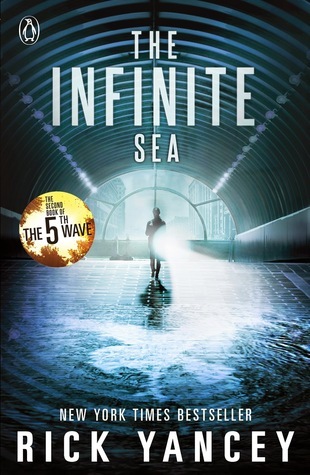 The Infinite Sea is the second book in the series and begins where The 5th Wave left off; At the end of the first book, Our MC Cassie Sullivan was reunited with her brother Sam after attacking Vosch’s facility and discovering Ben Parish, among others had been brain-washed into believing they were fighting against an alien invasion unbeknownst to them it was the aliens who were training them. We also learnt that Evan Walker was an alien in a human body and had been ordered to kill Cassie; he obviously didn’t do it as he had fallen for her. I enjoyed getting to know Cassie that little bit more, she could be high maintenance at times but I liked her as a character, Evan was great but did annoy me on occasion and we get to know a lot more about Ringer, I like her role in the story and her sassy personality is starting to grow on me, I enjoyed her backstory. We also get to know more about Poundcake, another interesting character. 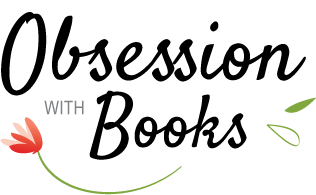 All of the characters played an important role in the overall story and interact well. The plot is intricately detailed and intense, it gives us more of an understanding about the Others and their purpose; I did have a few gripes though, my first being the extremely slow start, I felt things were dragged out and there wasn’t a lot going on, I also think there were a lot of characters and not enough page time to fully develop and appreciate each of them as individuals. The first half of the book I would have rated a 3 and the ending a 5 so I’ve rated it in the middle. The world Yancy has created is scary and brutal, it is creative and the information he provides is vividly detailed. The characters loyalties are tested and new alliances are formed in this book but there are still many unanswered questions that I hope will be answered in the last book. My next gripe was the number of POV’s, dual is usually as much as I can take, anymore and my heads starts spinning but in saying this each of the characters had a distinct, unique voice that flowed flawlessly but I did find myself preferring Cassie or Evan’s over others. Rick Yancey’s writing is wonderful and the heart-pounding action, surprise twists and turns and melodrama continued in this sequel which I appreciated. I am eager to see the outcome of the final instalment to see if these humans can outwit the supposed superior race of aliens. Thank you to Penguin Books Australia for the opportunity to read and review The Infinite Sea. Yep, this was a good one. I don't mind multiple POVs as long as they're clear and distinctive. I was so happy that we got Ringer's POV in this one; I totally preferred her. I haven't read book one yet but I really want to try both. I loved Infinite Sea! That is a great series and I can't wait for the next one.